Sign-ups will be April 22-26th during lunch in the commons room. Look for a letter in the mail with the class schedule and instructions. Granger will offer a limited number of classes during the summer. Student's who want to get ahead on credits, or who have failed a class and need to make it up, will be able to sign up for classes during the month of June. Each class will have a $10 fee and will award .25 credit. For those wanting online classes during the summer, see your counselor for the permission slip and payment information. Please complete this survey during your English class or when you have a minute. Thanks! 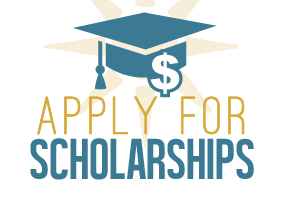 Several scholarships are available through Keys to Success! To apply, click on the link, create an account, and see your counselor. Deadline in April! STUDENTS- you will be choosing your classes for next year starting the end of January! Check out the school catalog to learn about classes you can take and make a plan today. Students, it is not too late to apply to college! Check out the college application pages here or see Jeannette in the Career Center for help! November 5-16th will be Granger's Utah College Application Week (UCAW). Counselors will be helping seniors fill out college applications during their classes. Students are encouraged to apply to at least one college. Many schools waive their application fees during UCAW. Parents, please call your student's counselor if you have questions about this process! Safe UT is an amazing app that parents AND students can download on their phones to report suspicious activity, reach out to professionals for help for yourself or someone else, and learn about resources to help.